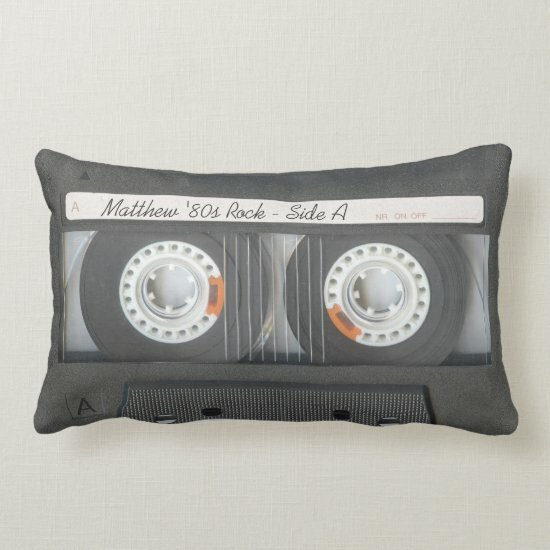 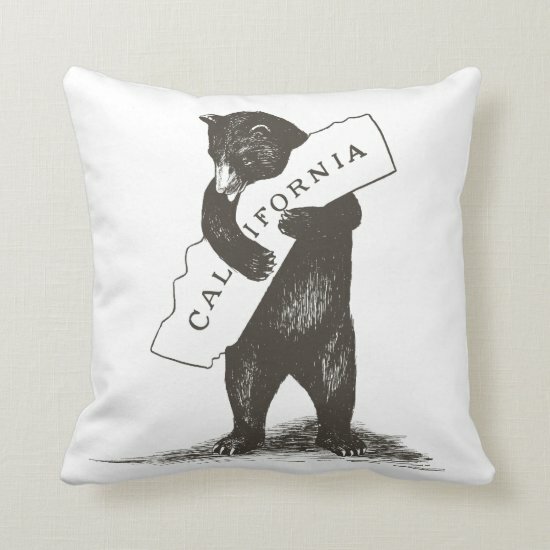 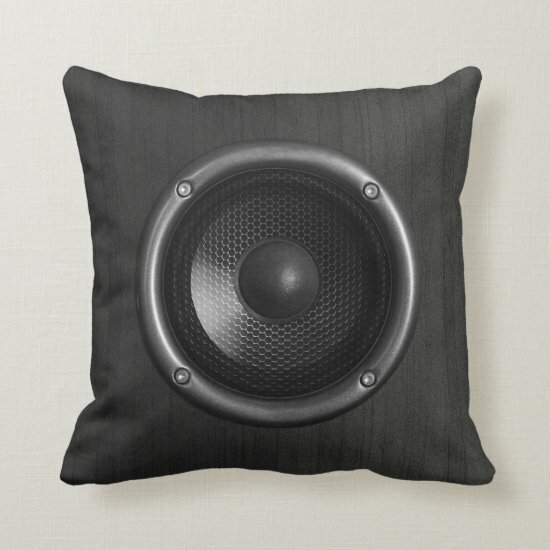 A retro style throw pillow featuring a illustration of a vintage reel to reel tape recorder in shades of black, white and gray. 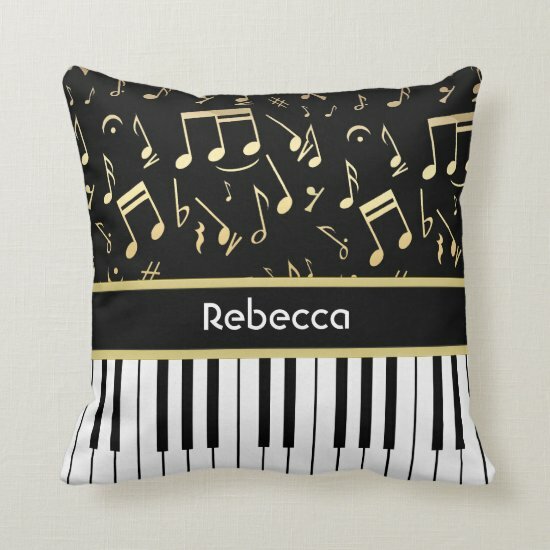 A stunning and elegant music pillow for the pianist and piano player with piano keys and golden colored musical notes on a black background. 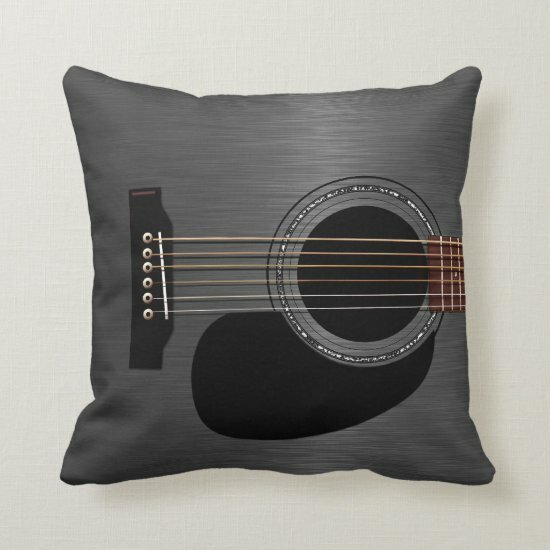 A cute throw pillow for the young rock star featuring a cute girl dressed as a rock star in pink and black with a record album, guitar and stars. 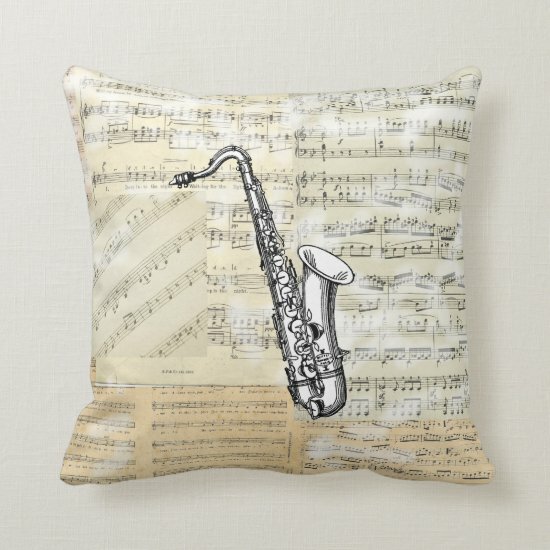 For the saxophonist. 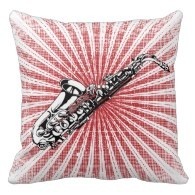 this music themed throw pillow features an illustration of a saxophone on a red and white grunge style starburst background. 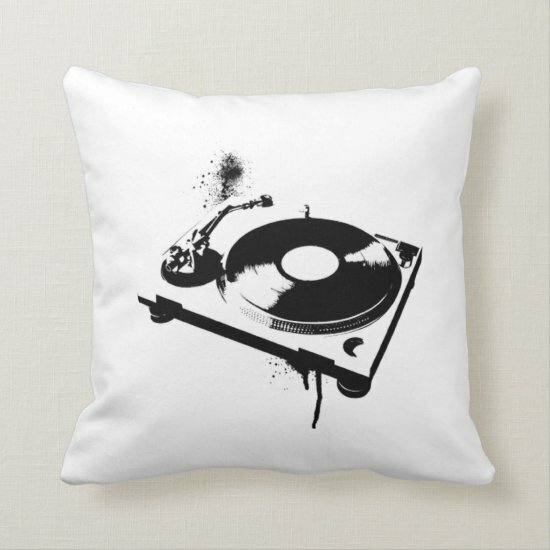 An eye-catching DJ sugar skull design with an ornate skull wearing headphones on a steel mesh background. 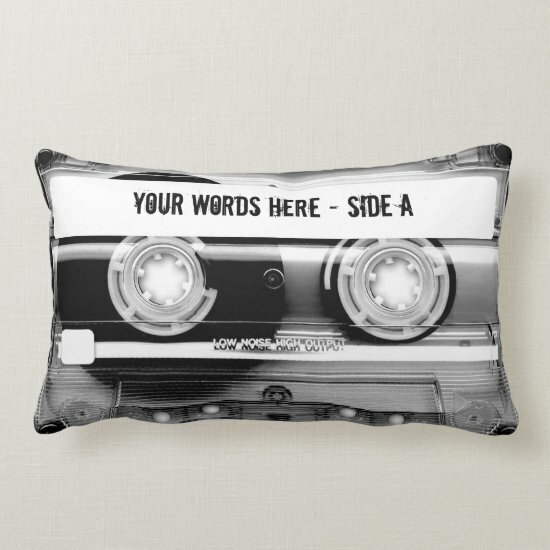 Perfect for the DJ in your life. 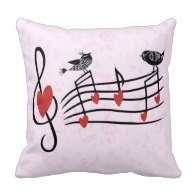 A pretty and romantic throw pillow with music notes and love hearts and two love birds on a subtle background pattern of music notes in pink. 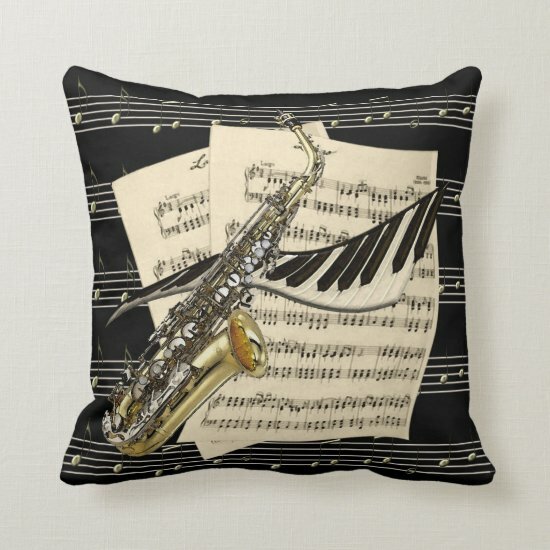 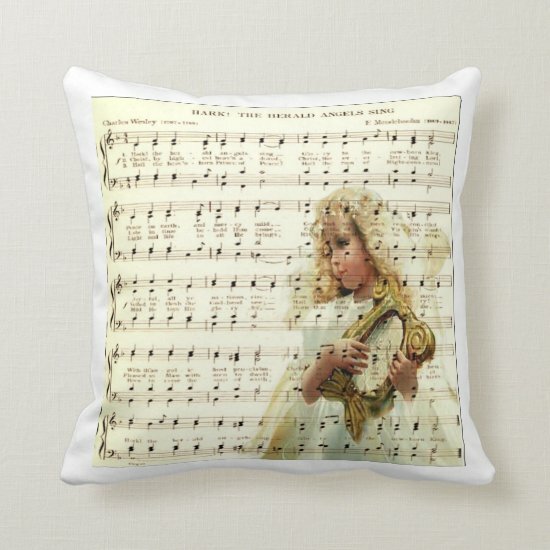 A unique throw pillow with a musical design featuring a photograph of a French horn on old vintage music score background. 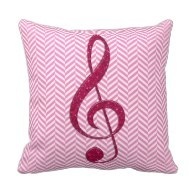 A girly and chic pillow with a large treble clef in a glitter pink style on a pink and white chevron zigzag pattern background. 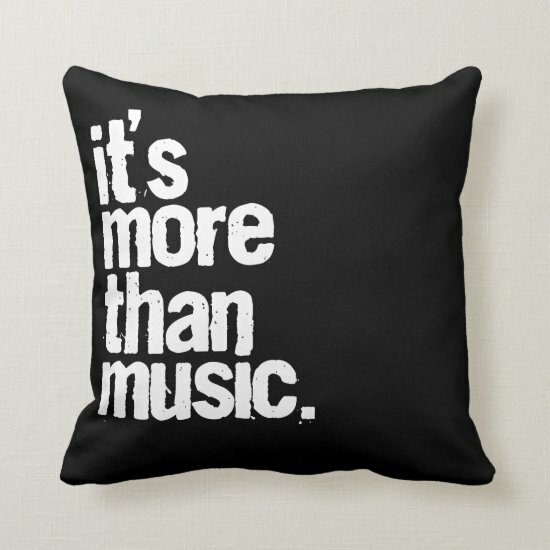 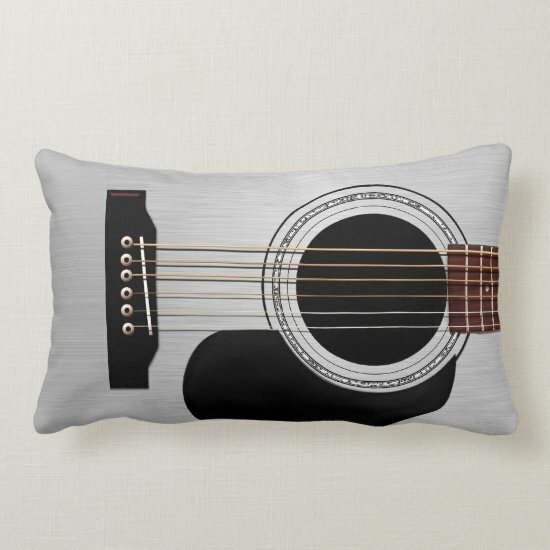 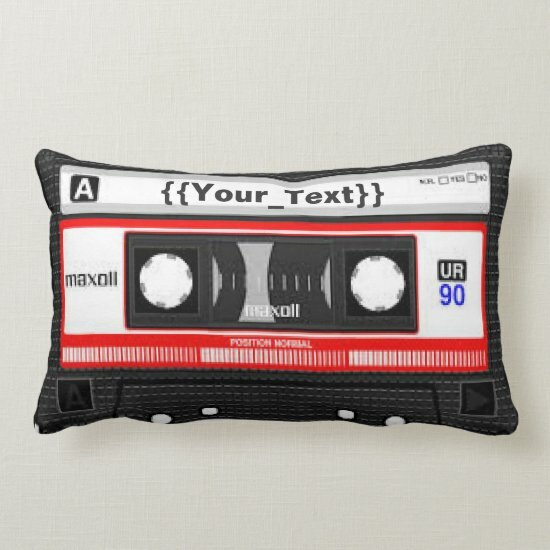 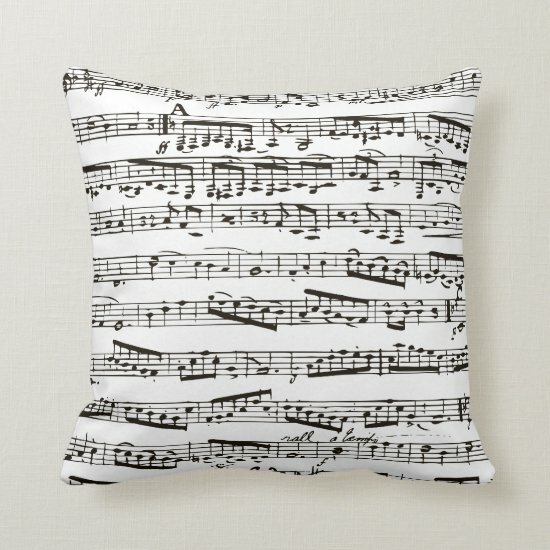 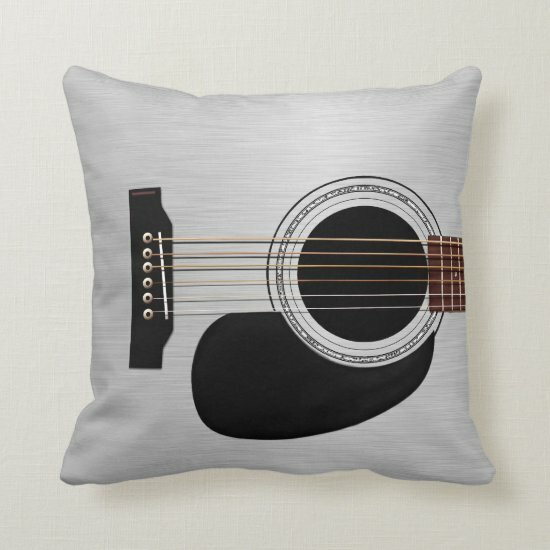 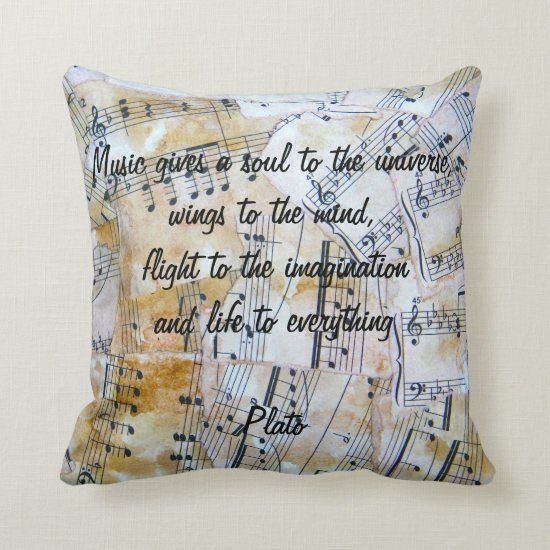 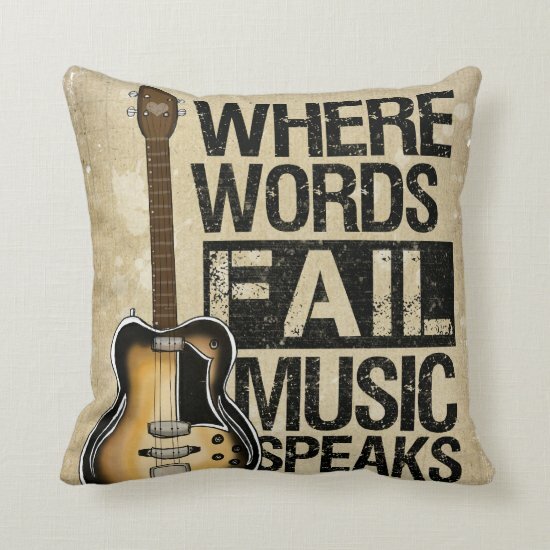 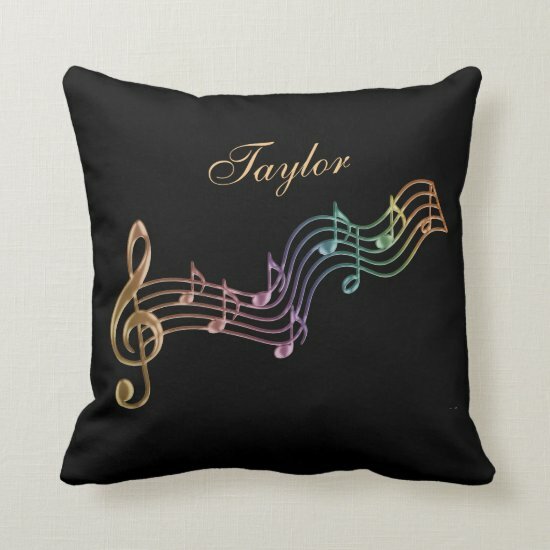 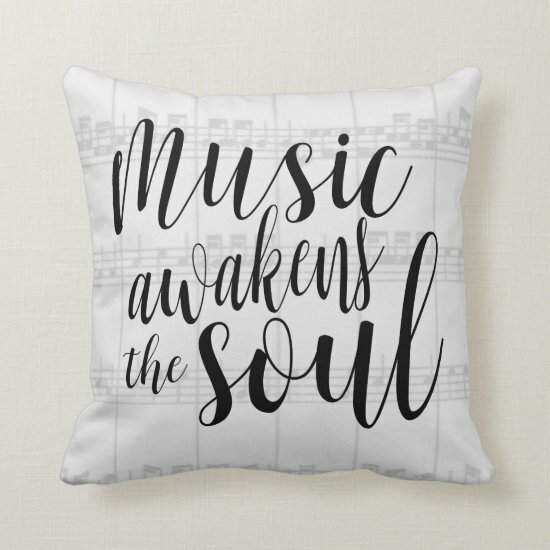 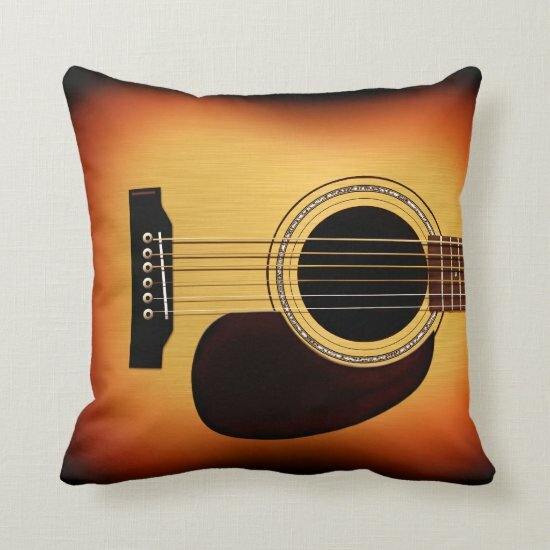 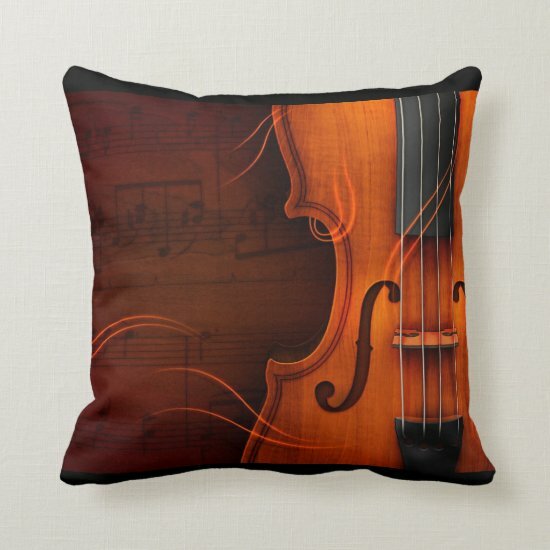 A collection of throw pillows for musicians and music lovers, available in two sizes. 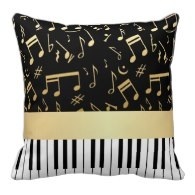 Perfect for adding a touch of musical ambience to any room with music notes, musical instruments and much, much more. 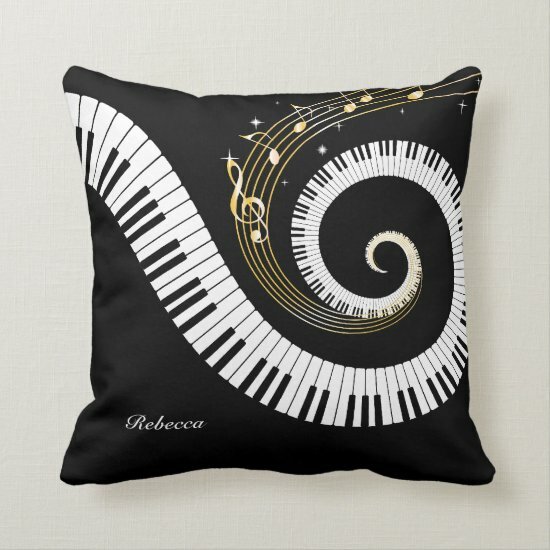 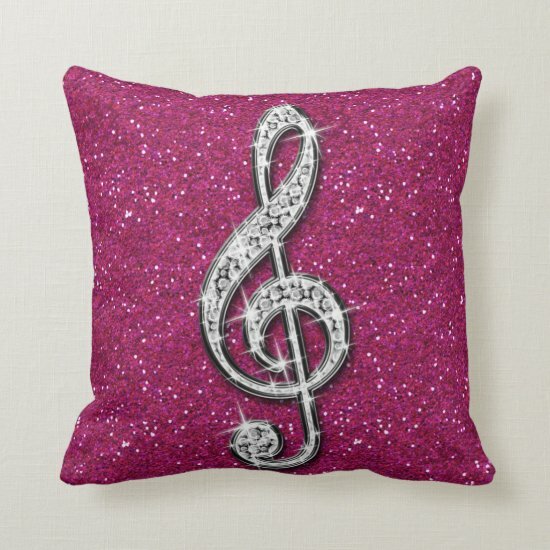 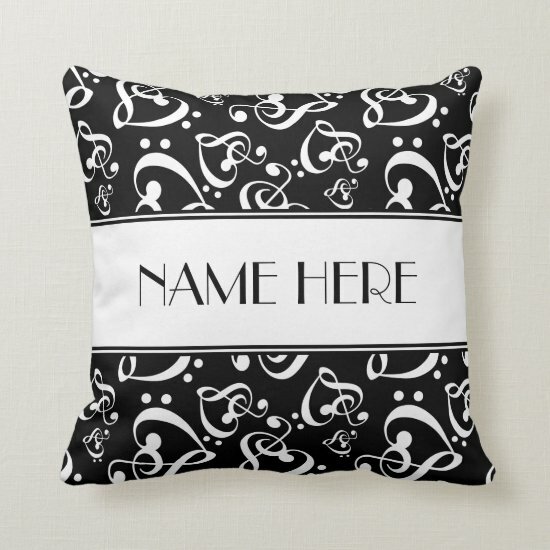 Music Note Design Polyester Throw Pillow 16" x 16"